INDIANAPOLIS (WTVD) -- Quinn Cook said yesterday he was shocked how well the freshmen handled the moment when Duke beat Wisconsin at the Kohl Center back in December. We shouldn't be surprised any more. Talk all you want about inexperience, this group is made of championship mettle. That's where they find themselves now. One game. 40 minutes. A National Championship to the winner. The Blue Devils were far too good for an overachieving Michigan State team. The same isn't true tonight. The Badgers have run a gauntlet since the Sweet 16, dispatching North Carolina, then Arizona (should've been the fourth #1 seed) and finally 38-0 Kentucky. Those three wins alone are worthy of a trophy. Vegas says this game is a tossup, which is perfect for a title contest. Many of the Duke players told me after Saturday night's game that they are playing, in stretches, the best defensive basketball they can possibly play. Mike Krzyzewski said yesterday that with such a young team, there's only so much implementation/absorption of his preferred man to man schemes that's possible. To the coaching staff's credit, they've used different zones throughout the year and tournament to great effect. They'll need it all vs Wisconsin. The Badgers are a computer. Quite literally THE most efficient and effective offense in college hoops. 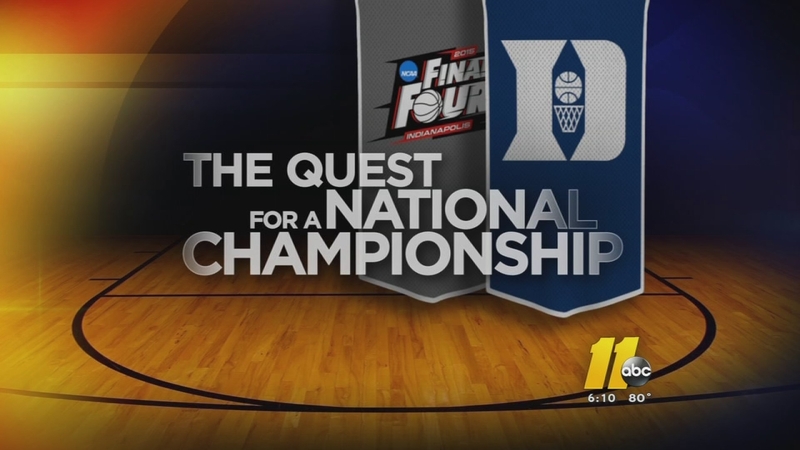 Just like the Blue Devils, in the tournament they've raised their game. They outlasted UNC with execution and defense. They shot Arizona into the offseason with ridiculous three point marksmanship. They ruined Kentucky's year with resiliency, toughness and the big moment brilliance of Sam Dekker. Point being, Wisconsin can win in myriad ways and for myriad reasons. Both Mike Krzyzewski and Bo Ryan laughed off notions of direct individual matchups yesterday and the reality is that it's never that cut and dry once the ball goes up. Still, it's impossible to ignore the importance of two guys who figure to be staring at each other's chests for much of the game. Neither Justise Winslow nor Sam Dekker was a National Player Of The Year candidate. That distinction belonged to Jahlil Okafor and Frank Kaminsky. It's been Winslow and Dekker though who've been the two best players in the tournament. They've both been unanswerable questions for the opposing defense. Dekker was dinged up in the first meeting. He's operating at max power now. Far more than Okafor or Kaminsky in my opinion, whichever of Winslow/Dekker has the biggest game will go a long way towards deciding the contest. As with Michigan State, I believe Duke is the more talented team. They are playing with, in Jon Scheyer's words, 'total belief'. They have subjugated individual ego for what Amile Jefferson called yesterday 'the Duke ego'. Quinn Cook told me the Blue Devils are playing 'angry, with an edge'. For all these reasons, I think a Duke team stacked with one and dones gets it done.